The construction of Kentish Way in 1987, and the Civic Centre Car Park in 1990, has divorced the Palace grounds from the town centre. Yet they remain, historically and environmentally a vitally important feature of the town. What remains is the former Moat , which was used as fishponds for the medieval manor house, St Blaise’s Well, the listed Bishop’s Palace building itself rebuilt in 1776 with additions in the 1870s, for local entrepreneur Coles Child, by the architect Richard Norman Shaw, an Ice House, Ha-Ha, and a Mock Medieval Gateway. What remains has certain beautiful aspects but the whole area has been damaged over the years, firstly when used by Stockwell Teachers Training College and, more recently, with the construction of Kentish Way and the Civic Centre car park. Many of the features in the grounds have been nationally listed to recognise their historical importance. The grounds, in which the council offices are located, are open to the public during normal office hours. Directions have been improved and you should follow the limited signage to ‘Lake and Grounds’, passing around the outside of the hexagonally shaped Council Chamber. 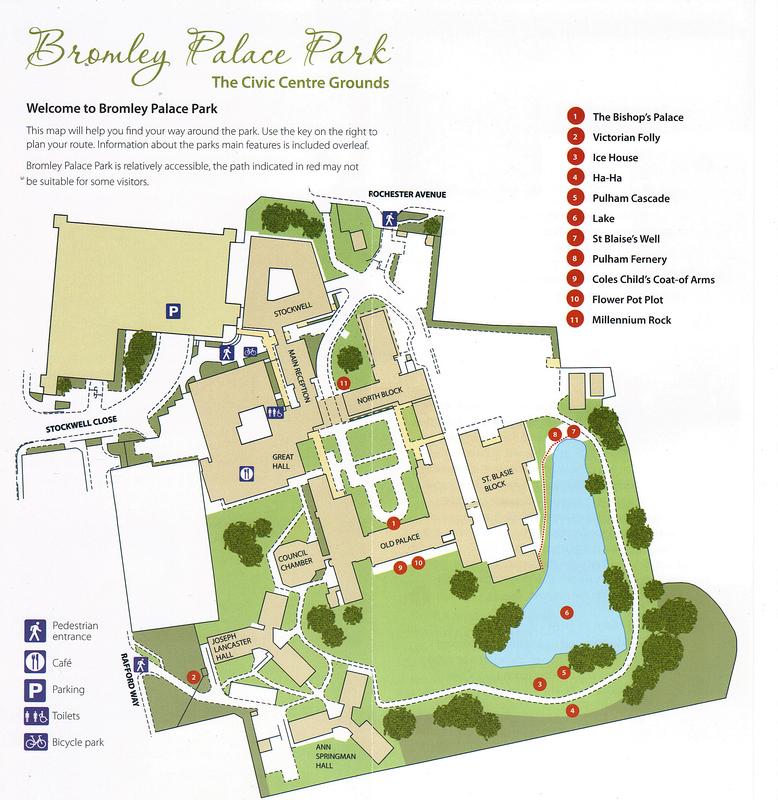 A free leaflet entitled ‘Bromley Palace—The Civic Centre Grounds’ can be obtained on site from Civic Centre Main Reception and some other council outlets. This details a self-led tour around these important and tranquil grounds critical to the running of Bromley for about a thousand years! 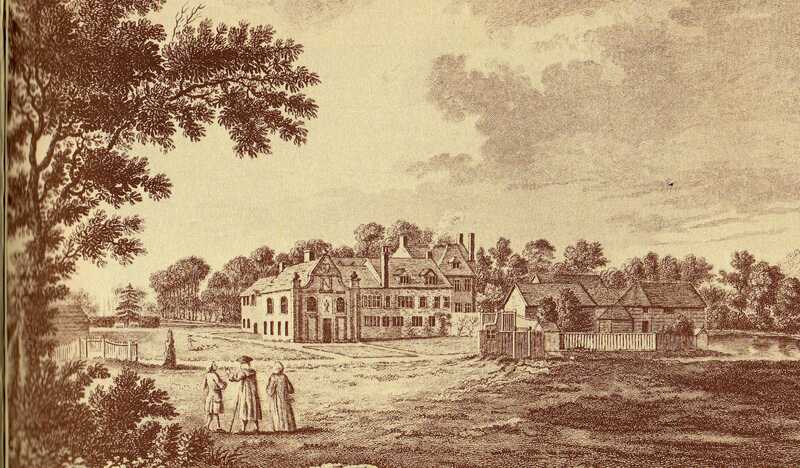 Bromley Palace. The southern elevation of this listed building is an impressive sight, normally only seen by council staff and wedding parties! Access to the building itself is restricted and contains the Mayors Parlour, where many civic events are held. Lake. The remaining part of former Moat to historical building. Pulham Rockeries. These were constructed by James Pulham in 1865. They were re-discovered by our Friends group in October 2006 and cleared of scrub, with assistance from the council’s contractor ACH Landscapes. The larger rockery, The Cascade, is to the south side of the Lake, adjacent to former Ice House. 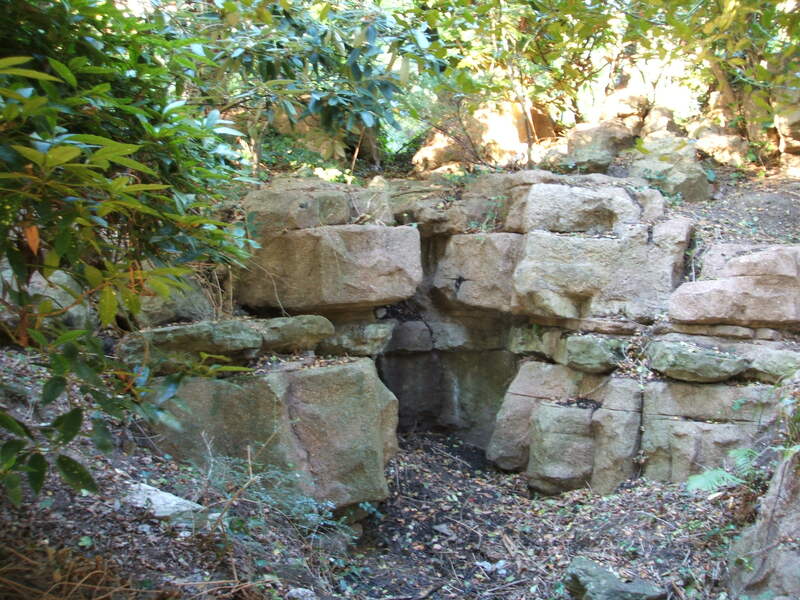 The other smaller rockery, The Fernery, is situated near St.Blaise’s Well at the east end of the Lake. Both were constructed by James Pulham & Son in a material that became known as ‘Pulhamite’. In an age when rock transportation was difficult and expensive Pulhams invented a method of construction of large boulder shapes interspersed with real rock forming believable geological strata. The huge brick shapes were then sculpted in situ and finally covered with a special render mixed with stones and fossils to look like a particular kind of sandstone. 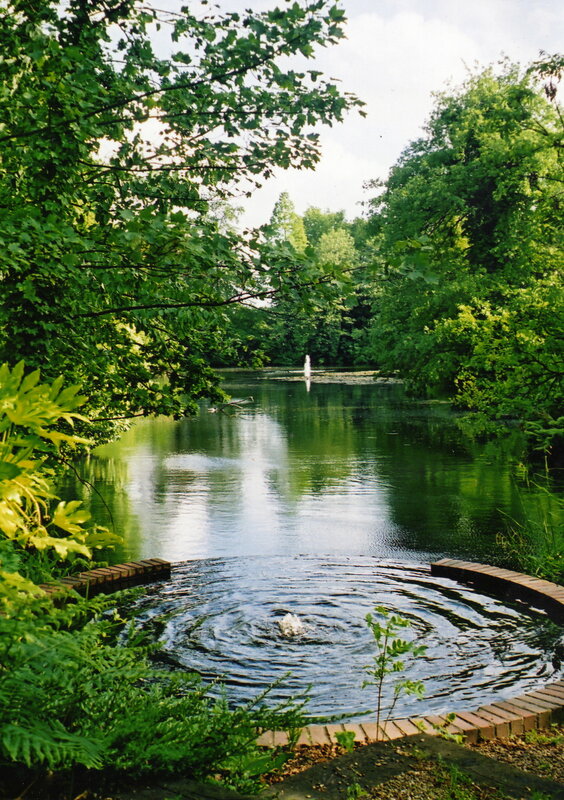 The London Parks & Gardens Trust have written about such rockeries, including a mention of this one, on their website. You can also read more about our campaign to restore these historic features, and protecting this historic site, on our Bromley Palace Park Campaign page. Pulham’s went on to provide rockeries in Sundridge Park and in many other grand gardens including Buckingham Palace, Sandringham as well as Battersea Park. There is now increased interest in the creations of James Pulham and ‘Pulhamite’ and we have drawn this specific installation to the attention of English Heritage. These rockeries were officially Grade 2 listed by English Heritage in May 2008. Our aim is to work with the council to restore and replant using the information provided by English Heritage. For more information on James Pulham see –www.pulham.org.uk. There is also a short article about Pulhamite rockeries on the London Parks & Gardens Trust website. Ice House. Can be found adjacent to the larger rockery. This was built as part of the late 19th century developments. Initially used to store ice, before refrigeration was available. Later a covered porch was attached. Recently Bromley council has carried out urgently needed repairs to this building which is Gade 2 listed. St.Blaise’s Well. Recently reconstructed on the site of an earlier one, this spring-fed well is dedicated to an Armenian who is patron saint of wool carders. This fact celebrates the formerly important connection of Bromley with the wool trade. This celebeate (trace iron) spring has similar ‘health’ properties to the much more famous springs at Tunbridge Wells. But for a quirk of history perhaps our town might have been as famous a health spa as that place was! Ha-Ha. Hidden away below the lake is a section of decorative walling, comprising a Ha-Ha or sunken barrier and ditch which originally protected the Palace parklands from grazing sheep, cattle, etc. without spoiling the owner’s view of his surroundings with a fence. The origins of this feature are unknown but presumably date back to Coles Child’s time. Now Grade 2 listed. Mock Medieval Folly. This can be found at the Rafford Way entrance to the Civic Centre. It is alleged that some small parts of the medieval palace, found in the moat/lake, were incorporated in this folly. Also Grade 2 listed. Grounds maintenance has been transferred back to the council’s contractor (TLG) after the Thyme Out project was terminated in March 2015.